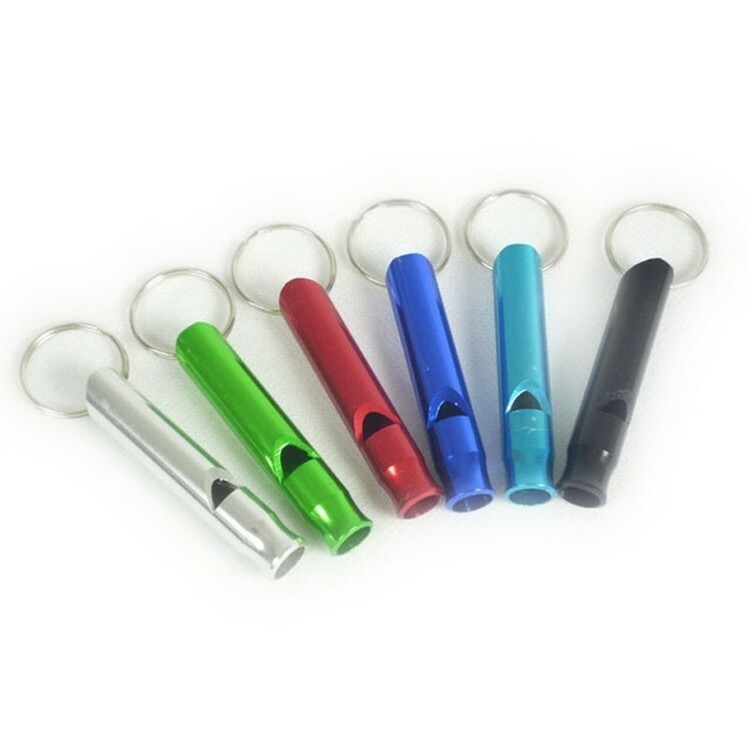 Plastic Euro Coin Holder Key Ring. Your logo and PMS colors are available. 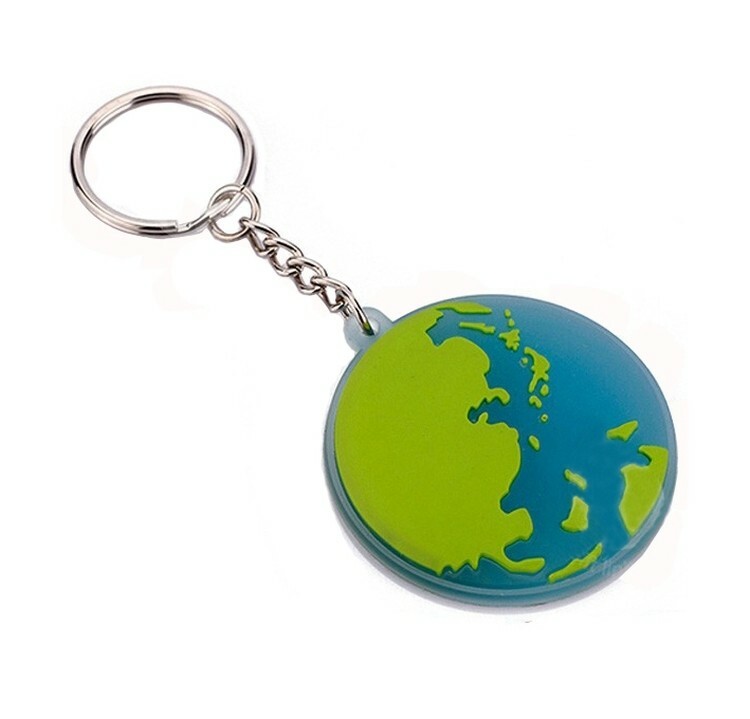 Custom soft PVC key chain (About 10g) is creative and perfect as an personaliz advertising tool. 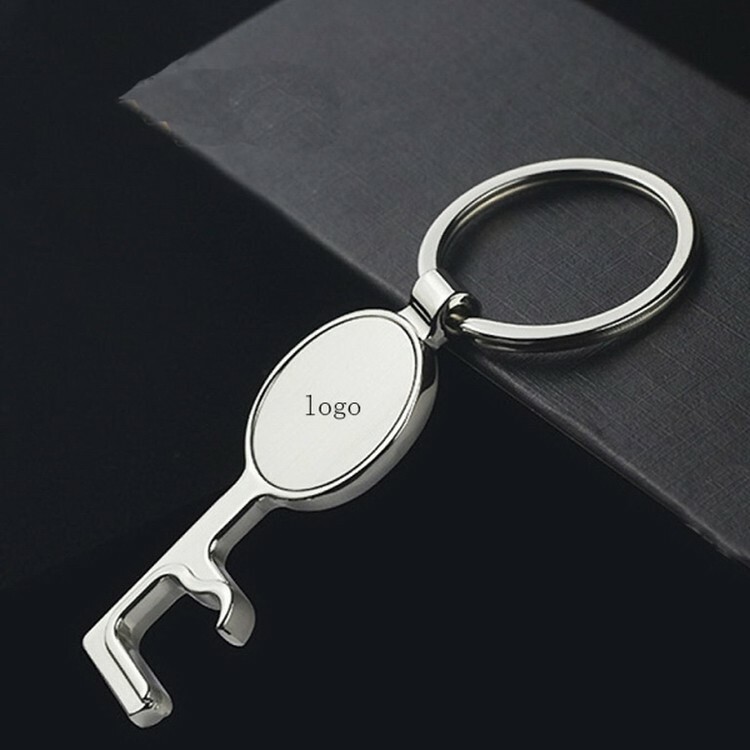 They can be created in any 2D pattern, and also be a good way to keep your keys together with this original keychain. 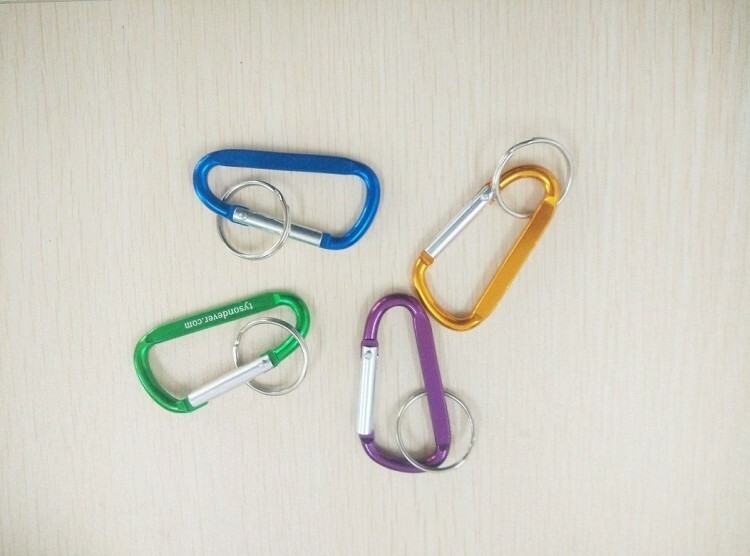 1 15/16" x 1 15/16"
Aluminum metal carabiner clip key chain. Carabiners cannot be used for climbing. 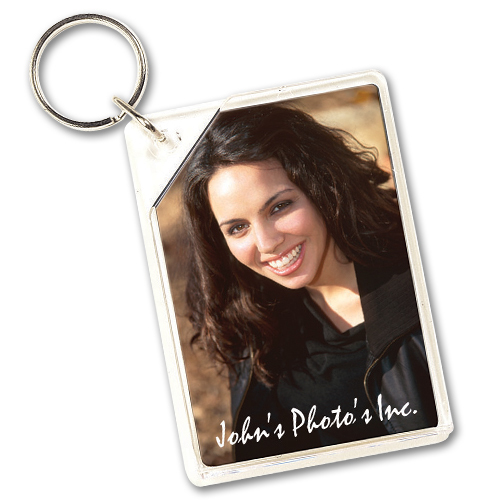 For permanent imprint, this item is laser engraved. 24 hour production not available for direct imprinting. Perfect for Easter, Halloween, Christmas and other special occasions: Dancing Party,Children's performance, campus activities, parent-children interaction and more. Great as a trade show giveaway or a conference tote bag insert. 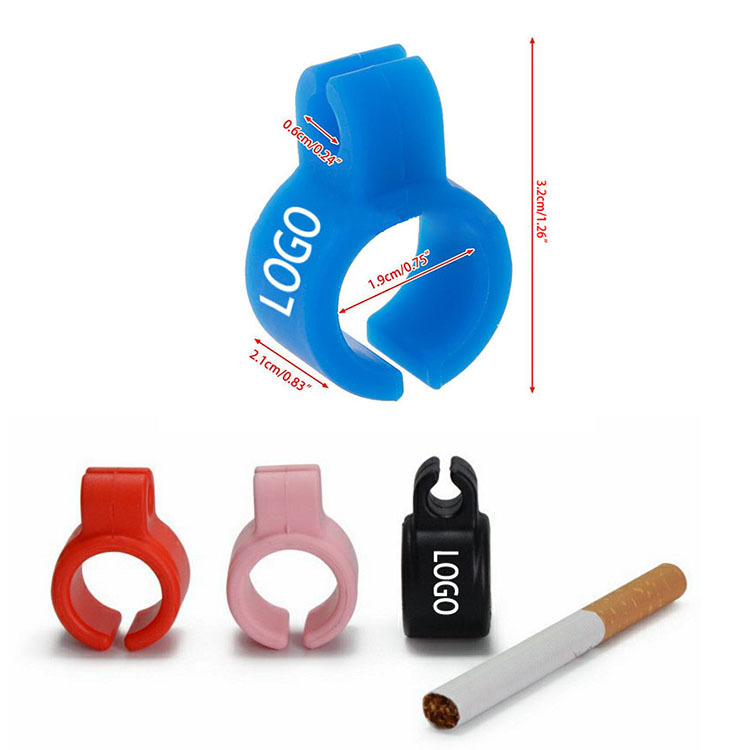 It gives you Comfortable and Secure Grip, reducing the Damage Caused by Drop.As a Kickstand, Horizontally and Vertically, you can use it at any angles.Wear a ring and enjoy tapping every corner of your smartphone only with a thumb.RIng Hook: Attach the Hook everywhere and hook your ring, so you can tilt your smartphone in any directions.Improve your One-Hand Operation experience: You can use your device with only one hand easily and safely. 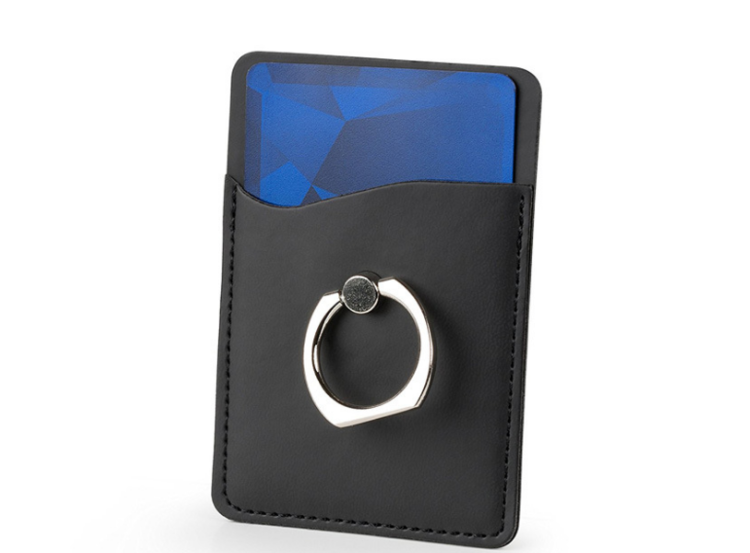 This phone wallet with ring is made of Pu leather. Firmly Adhesive Sticker affixed on cell phone back firmly. This smart silicone cell phone wallet holds credit card, ID, driver's license, cash, business card. Also can be used as phone holder. Your logo and color are available. Price includes 1 color 1 side 1 location with silkscreen printing. 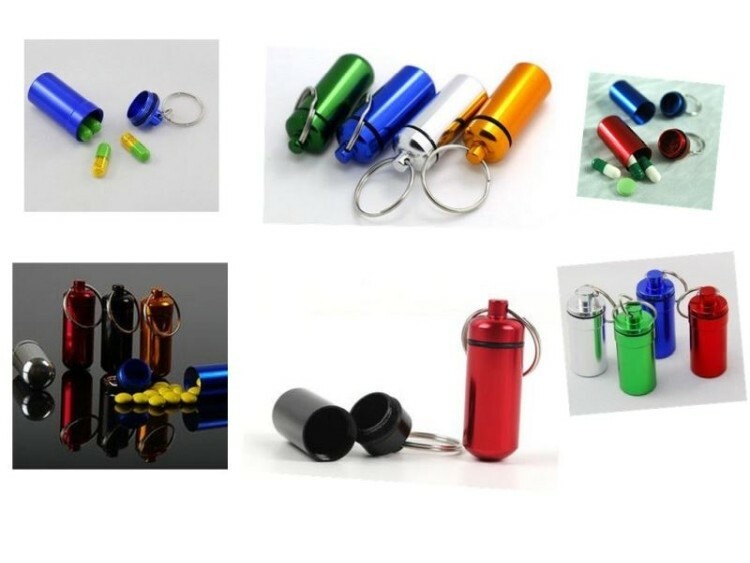 Aluminum tube box with key chain. Perfect for hiking or fishing. 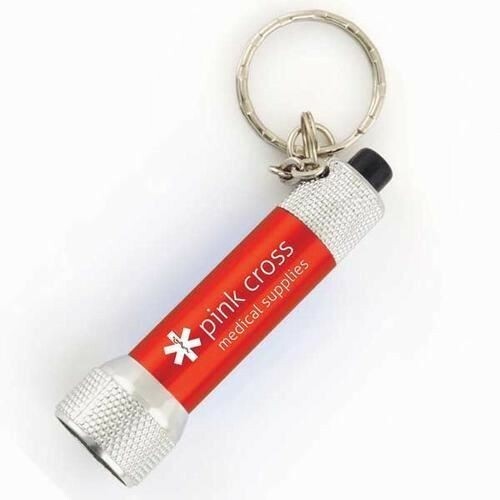 Keep tiny things such as pill for you. Laser engrave and silk screen is available. 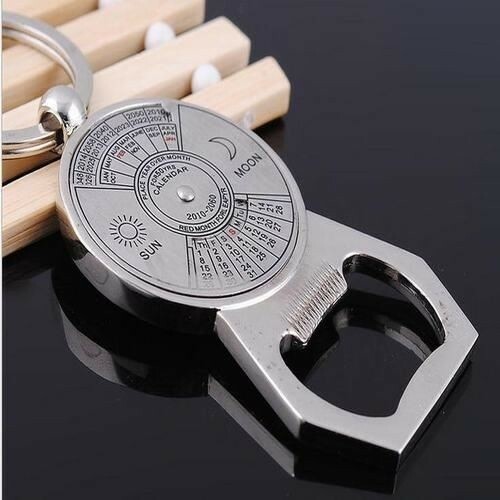 Flashlight Bottle Opener Keychain. Material is aluminum. 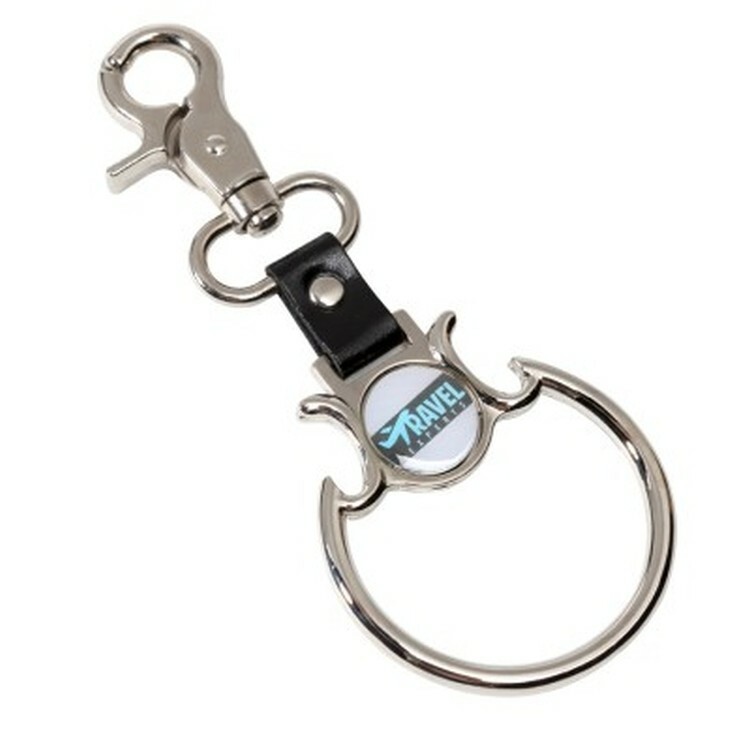 It features a key chain with bright LED light and bottle opener. 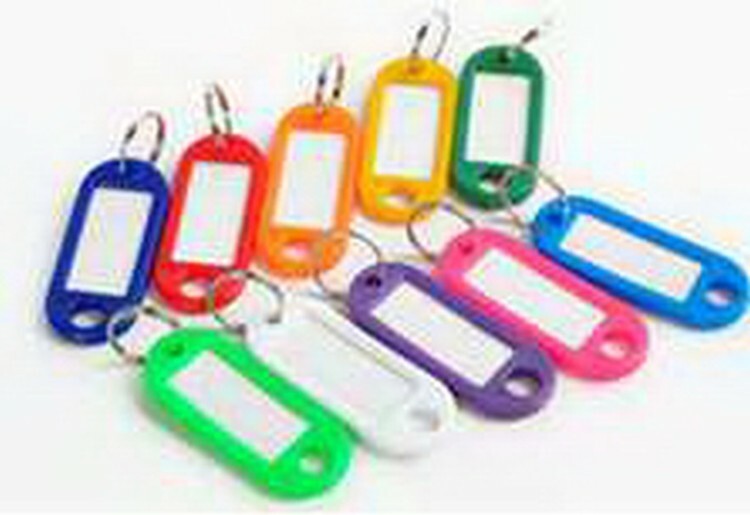 The Key Tag is made of high quality polyethylene which can be bended. 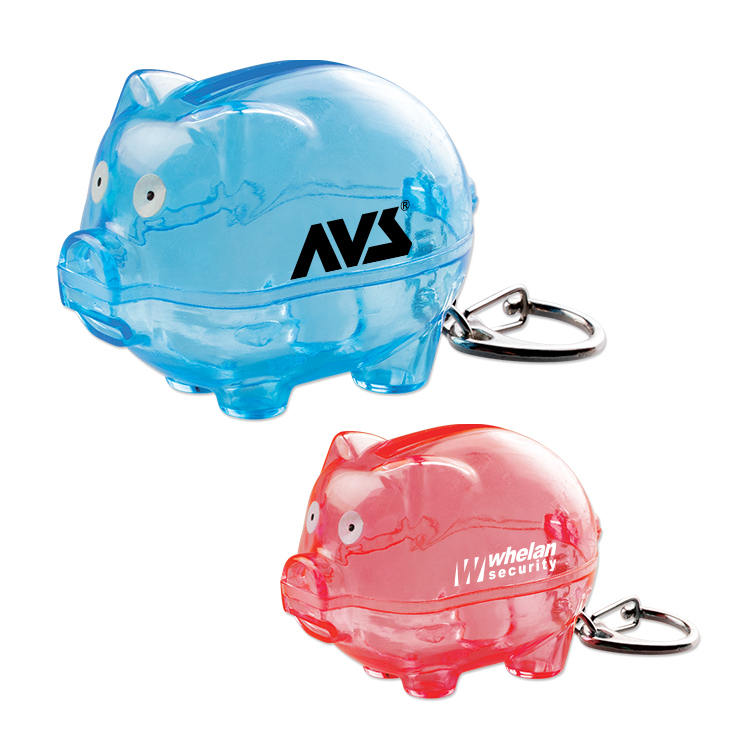 Different colors keep all your keys organized and your message in hand and in sight. 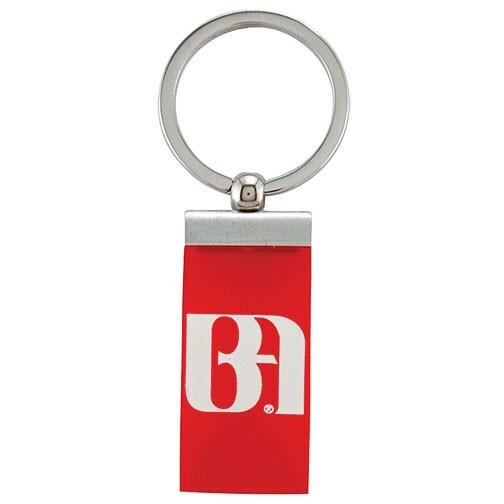 This promotional key tag is an ideal handout for any business, hotels, clubs and many more. 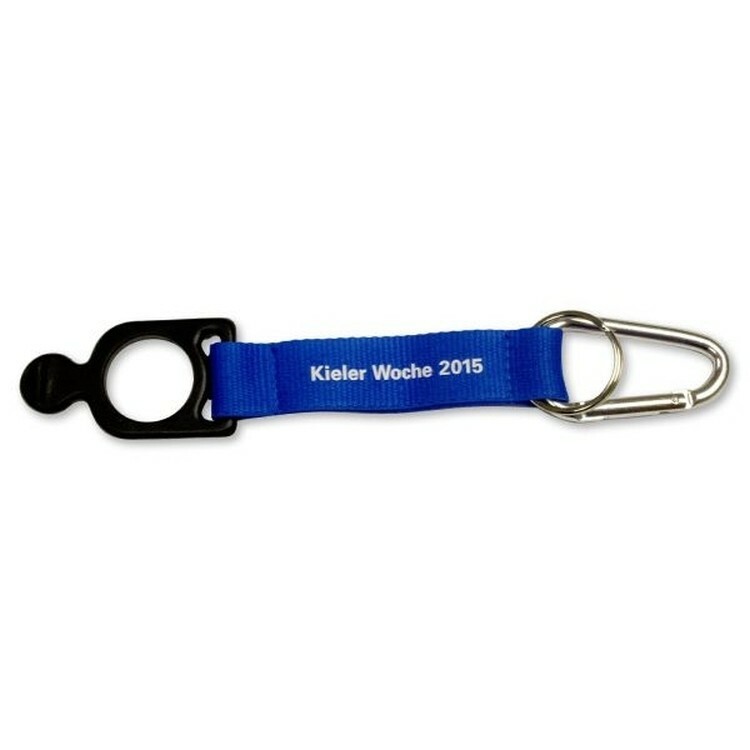 Get them hooked to your company's services with this bottle holder lanyard with plastic clip, aluminum carabiner and split ring. 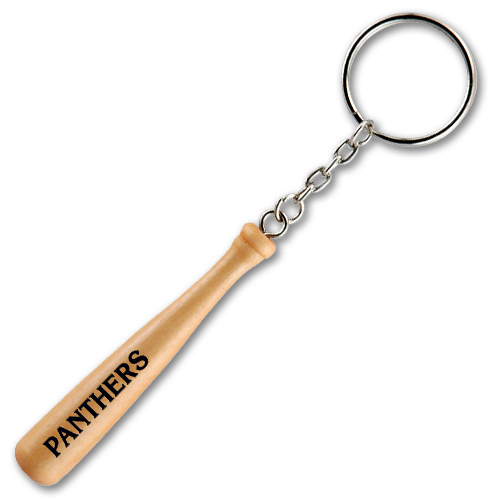 A novel idea giveaway for company picnics, sporting events, concert outings and business gatherings. Employees can enjoy a hands-free hike or workout by wearing the strap over their shoulder or by strapping it to a backpack. It is made from 100% silicone. 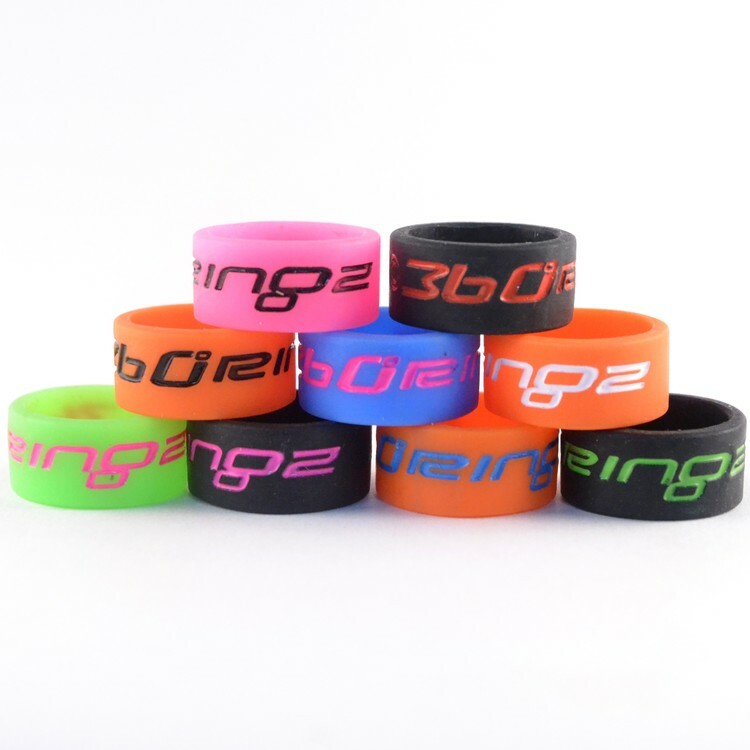 Embossed rings have their imprint down into the band with no color for the imprint. 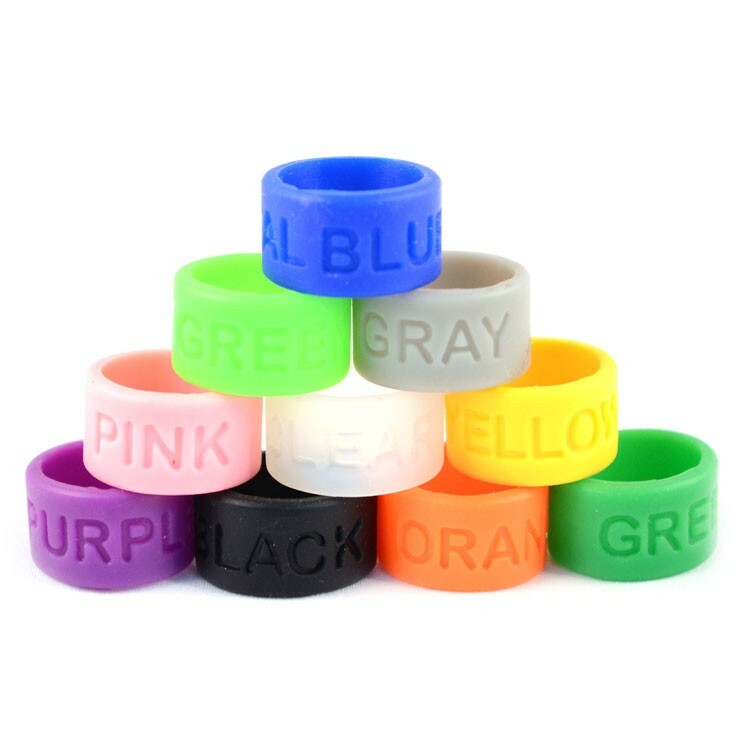 Your logo or message embossed on the finger ring, all PMS color available. Show your support for any event. 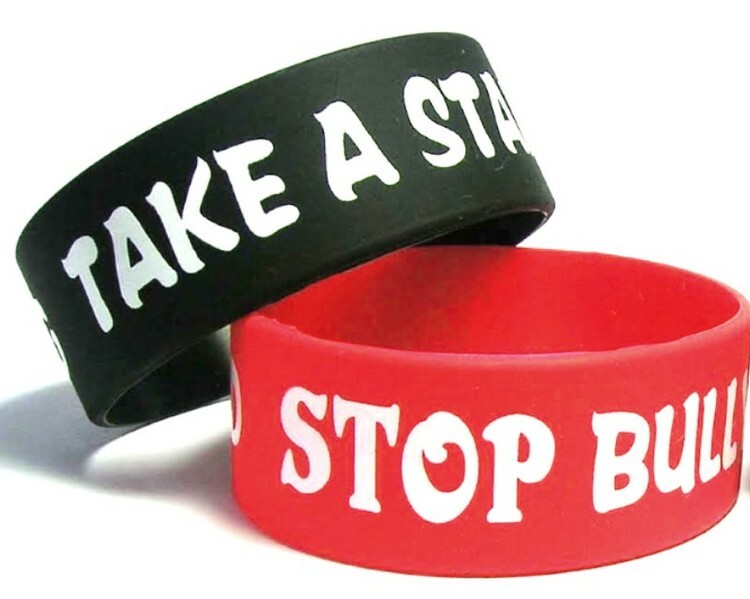 Price includes 1 color 1 side 1 location with Embossed imprint. Adopted the high quality silicone. Sizes and colors can be customized. And there are various printing methods for choice. Price just includes 1 color 1 side silkscreen imprint. 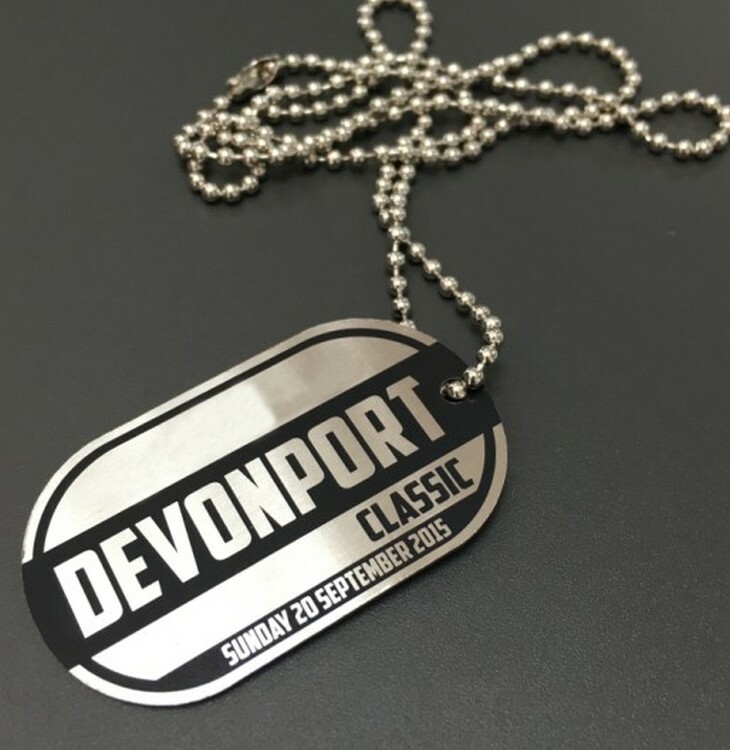 The Towel Rings with Offset Printed Ball Markers display outstanding, detailed replication of those intricate designs which cannot be produced with soft enamel. 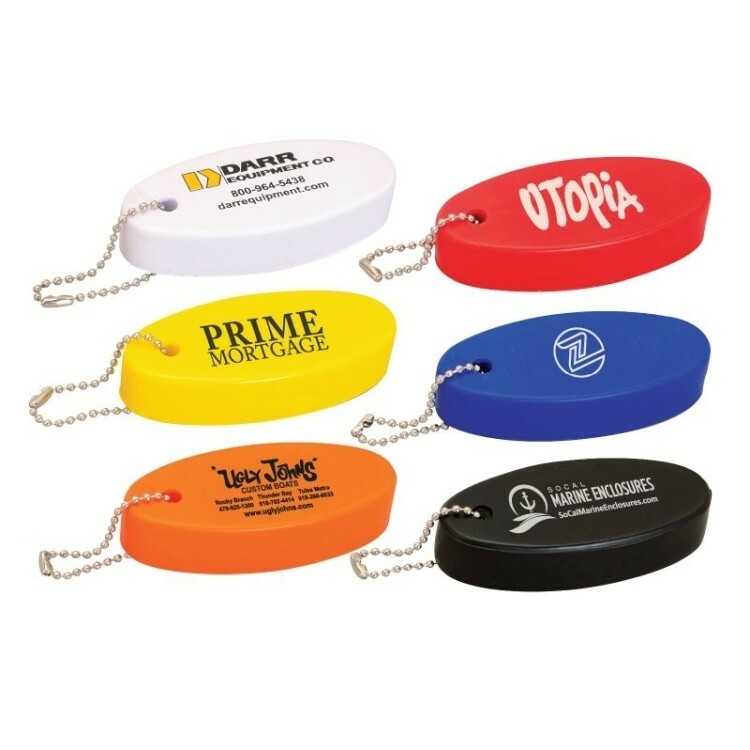 Offer this promotional product with your client's logo printed in dazzling full color and watch as your business hits a hole in one! Any Custom Shape. 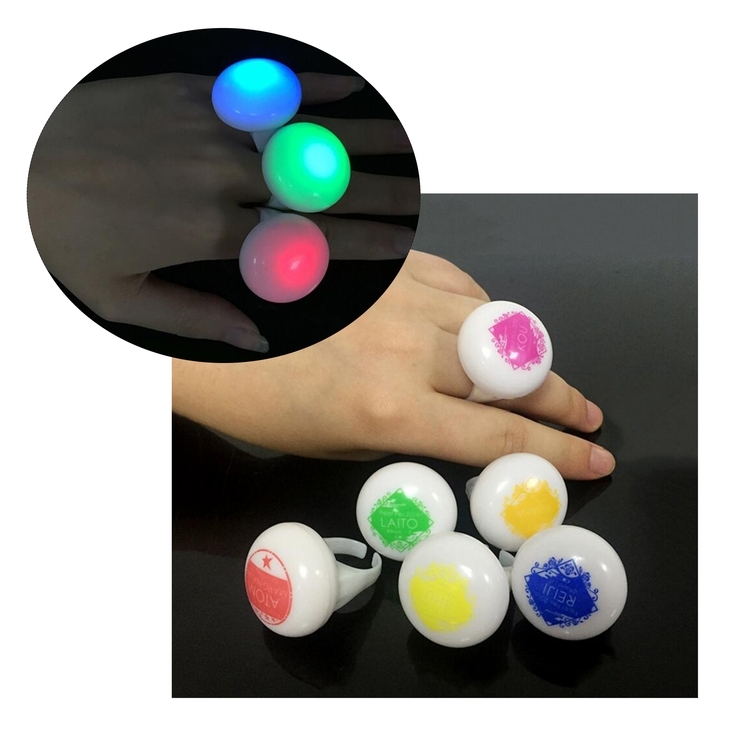 6 Colors Included in Price. Five year license program. What is it? This is a software license which allows the finder of your lost item to notify you electronically and anonymously. How does it work? 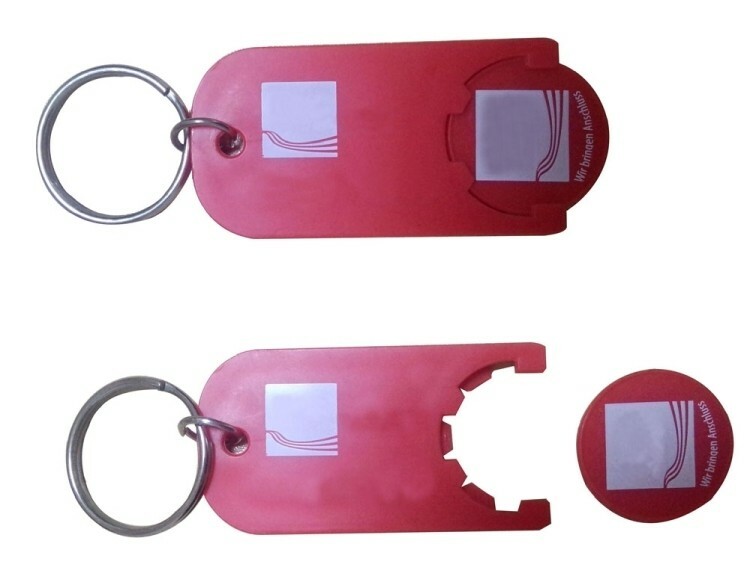 The key tag or zipper pull or luggage tag will have a unique sixteen digit code permanently engraved on the back side. The owner of the product can register it with Keyfetch, activating a one year or five year license. 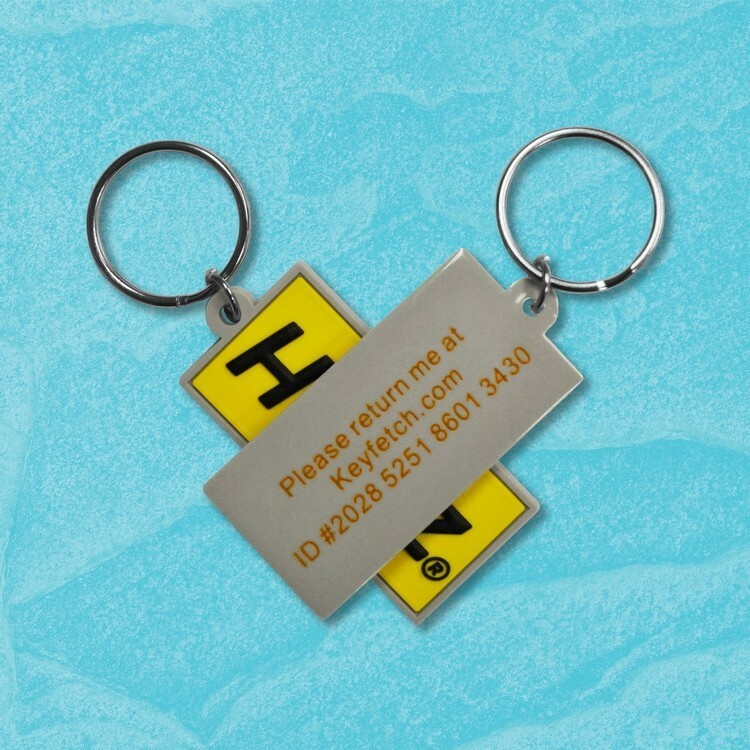 After activation, if the product is lost or misplaced and ultimately found by a third party, that person can go to keyfetch.com, enter the sixteen digit code, and send an email to the owner. The owner can then respond and coordinate retrieval. Alternatively, the owner, once realizing the product is lost, can log on to his/her Keyfetch account and leave a private message. The only person who can read it is the one who finds the product. How can the license be extended? The registered owner will be notified prior to the expiration of the license and will have an option to renew for an extended period of time. Why use it? The cost to replace keys can be expensive. This is an anonymous and efficient way to put finder and owner together instantaneously. Retrieval can be within hours. Are there instructions? Included with each product is an instruction card. 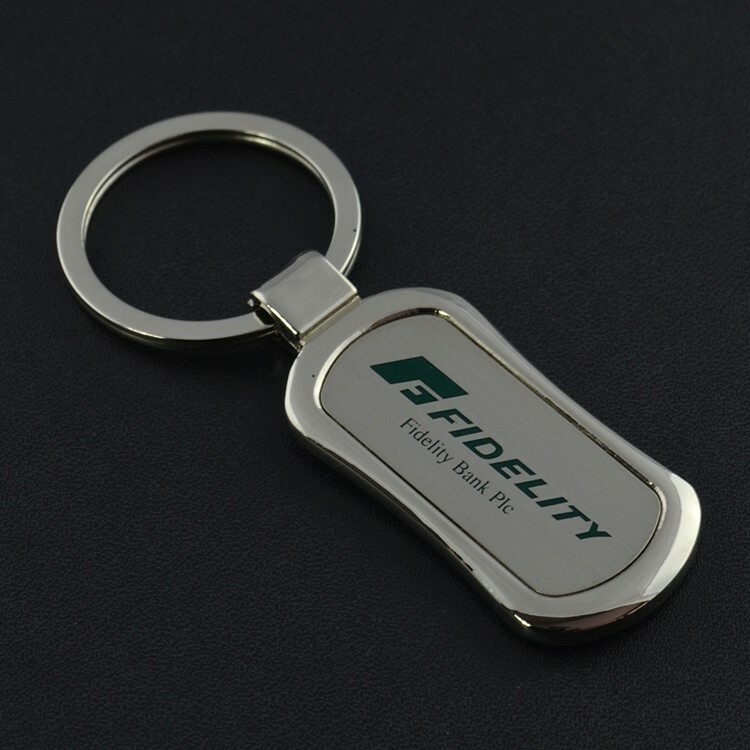 Zinc alloy keyring, nice and functional. 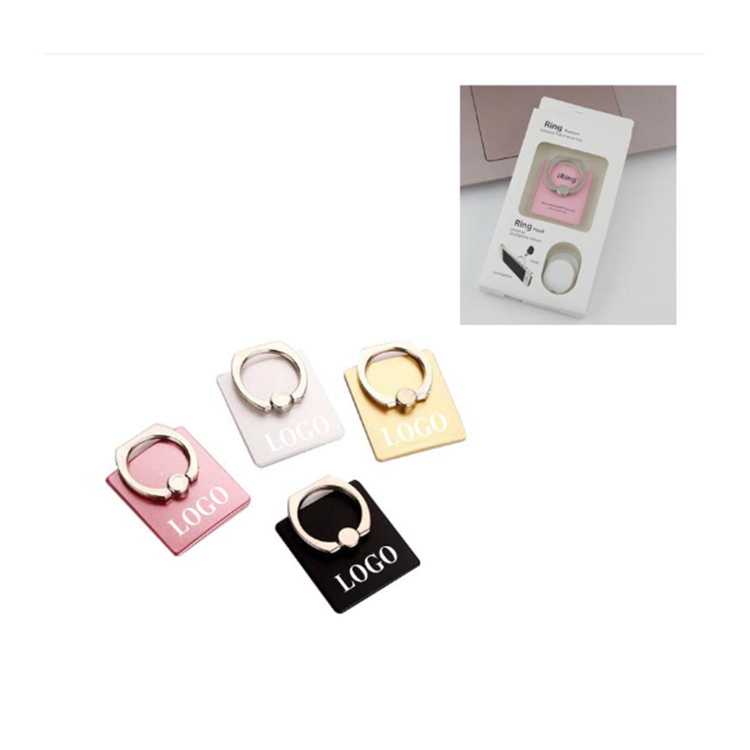 Can be used as a cellphone bracket. 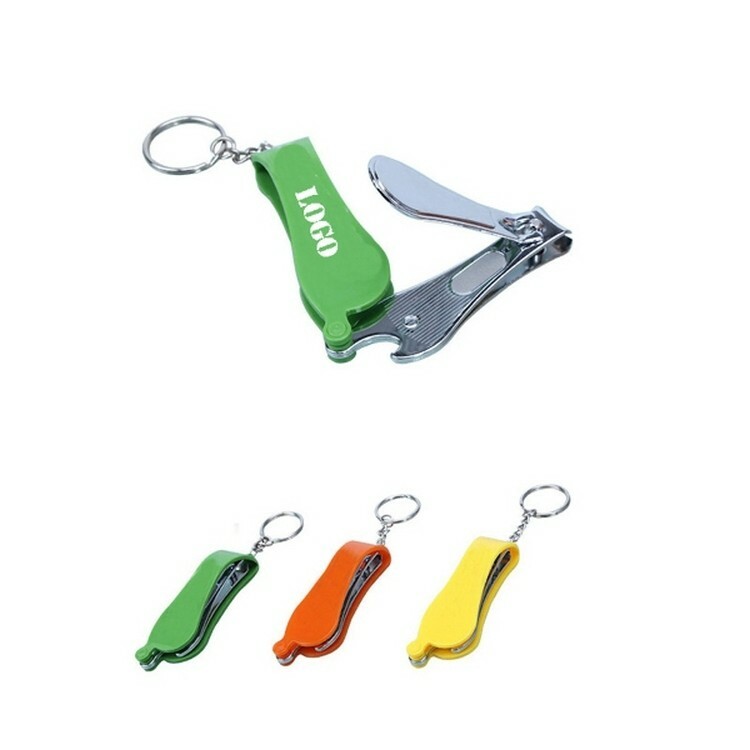 This product both can be used as bottle opener and nail clipper. Can do customized LOGO. 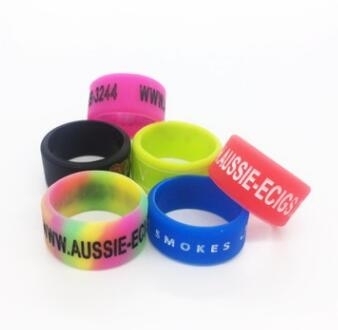 Stable quality, flexible service, best product for promotion sale. 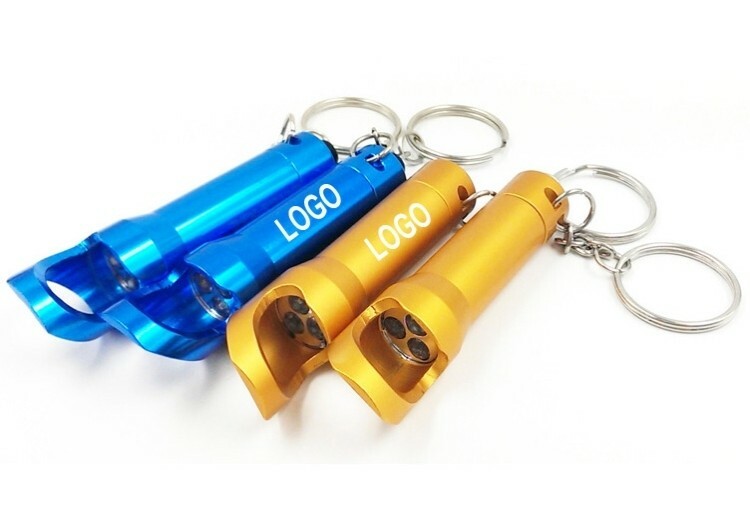 5 LED keyring torch, button action, it will be a good promo gift for outdoors, camping, emergency and safety program. 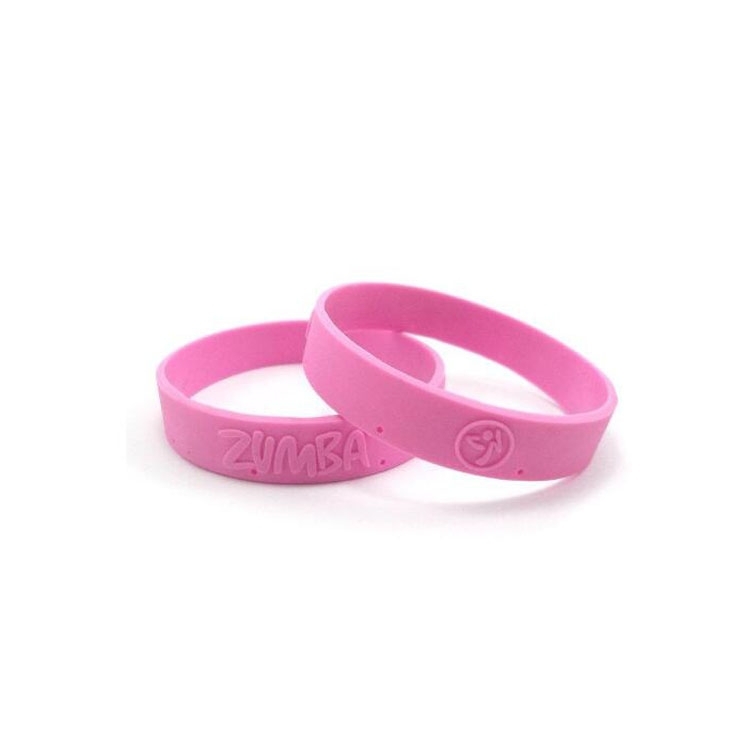 The color and logo can be customized.